It seems innocent enough. A co-worker has a birthday coming up, so a little celebration is organized during the workday to mark the event. 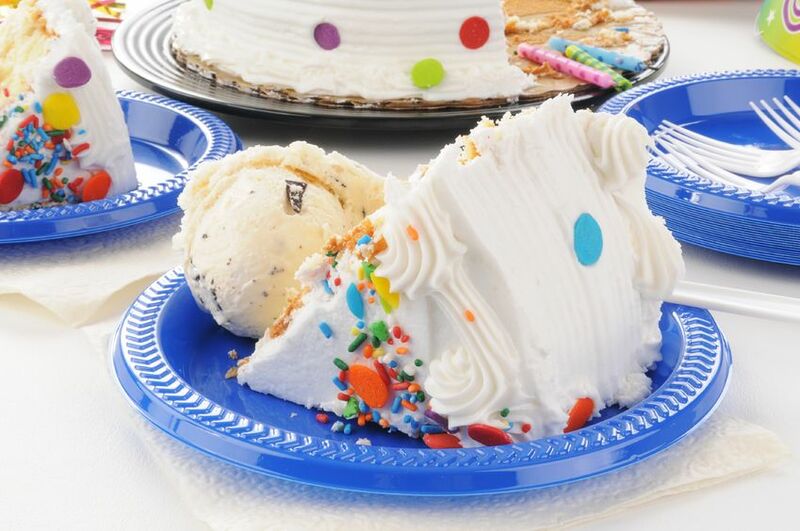 A slice of cake, a scoop of ice cream and an hour later, everyone gets back to work. But in fact, birthday festivities in the office can be fraught with issues for human resources (HR) and present a myriad of potential employee relations concerns. 1. Consistency of Employee Birthday Celebrations Matters, or Does It? Employees notice the smallest of things. When colleagues get together to throw a little surprise for a co-worker’s birthday, everyone joins in the fun. However, for the co-worker that never advertises a birthday nor is ever recognized for one, (s)he may feel left out. The exclusion is unintentional, but left in the hands of employees, the process of celebrating a colleague’s birthday can be a little willy-nilly. The randomness of the occasional party matters because the lack of inclusiveness can make an employee feel as if (s)he doesn’t fit in, and a valued employee may ultimately decide to seek employment elsewhere. An employer can make a big difference with a more structured approach to employee birthdays. For example, a retail business can give an employee a discount on his/her birthday to purchase items in the store or perhaps a small gift card to a popular eatery. If an employer wants to recognize birthdays, then the company management and HR can develop a simple, consistent and inclusive way to celebrate every employee’s birthday. Some companies take completely the opposite approach to birthdays and strive for inconsistency! Birthdays become an opportunity to team-build, have fun and plan an interactive event for employees. In How to Take Your Office’s Birthday Celebration from Predictable to Memorable, Melissa Grothues, Manager of Company Culture at Digital Telepathy, suggests that birthday celebrations can be one component of a unique company culture. They are also an excuse to get employees together in a fun activity or over a meal. She points out that the same type of birthday celebration for each employee provides a basis for comparison, and there is so much room for disappointment if one particular event doesn’t seem to quite stack up to the others. Her points speak to the larger question of whether workplace birthdays add anything to the company culture. The intergenerational workforce is real. Organizations today employ Gen Y or Millennials born from the late 1970s through 2000, Gen X workers born between the mid-1960s and the late 1970s, and Boomers born after World War II and pre-Gen X. It’s complicated. Plus, each group has its own sensitivities of which age can certainly be one. The Federal Age Discrimination in Employment Act (ADEA) protects workers that are 40 or older from age bias in the workplace. Some states protect workers under 40 as well. One way to ensure that birthday celebrations in the office do not inadvertently embarrass or offend someone is to forego mentioning the person’s age. 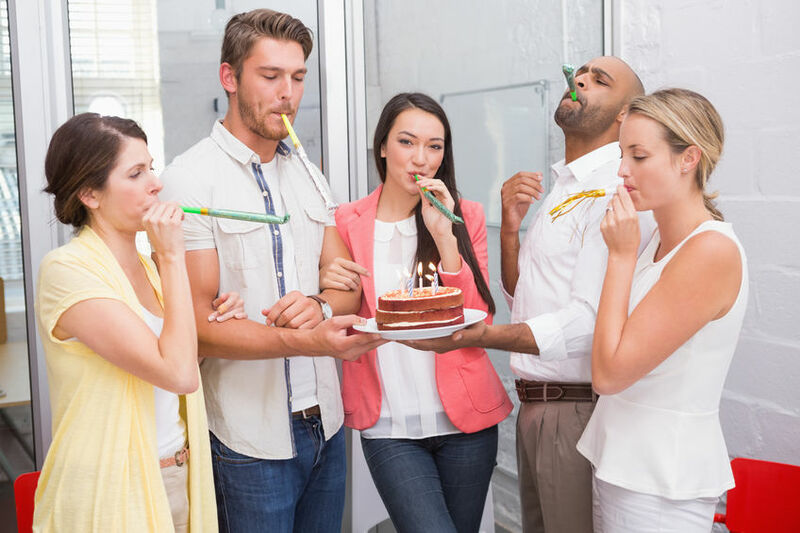 An interesting article in hrsimple.com, Birthdays in the workplace, even notes that some human resource policy guidelines prohibit managers or HR staff from revealing an employee’s birthday or age. Let’s face it. It takes time and energy to plan a birthday celebration for a colleague even if it is a relatively small event. There must be an agreed time and place. If there are traditional items, such as a cake from a nearby bakery, it must be ordered and picked up. If there are employees with allergies, it may be best to have an option for them so as not to exclude members of the team. Someone is emailing about the party, others are sending RSVPs. Depending upon the size of the organization, workplace birthday celebrations can take a toll on employee productivity. They can also be disruptive to the workday as employees stop what they are doing to join the celebration and then return to their desks to figure out where they left off. If a company has a large number of employees, the aggregate loss to staff productivity from a continuous stream of birthday parties in the office may be too burdensome. Something as simple as a happy birthday card given at a workplace party can become an employee relations issue or even worse, a premise for an allegation of misconduct. If the card has a joke or suggests something the receiver perceives as inappropriate, it could be deemed a form of harassment. As I mentioned in After the Holiday Party Fizz, the HR Headache Begins, an inappropriate or unwanted gift can also be considered harassment. Human nature is such that what one person finds humorous, another can find offensive. Unfortunately, birthday celebrations in the workplace leave room for interpretation by participants and may spawn accusations of misconduct, regardless of intent. 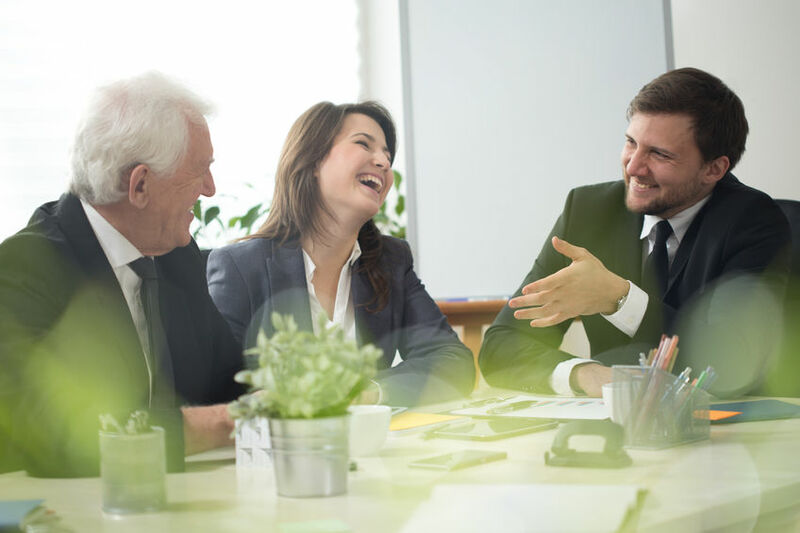 So, the gift giving, joking, or humorous card that may go along with an employee birthday should give HR departments reason for pause as so many of the components of a workplace birthday are unpredictable. In Freelancing in America: A National Survey of the New Workforce, as many as 34 percent of the American workforce or 53 million people are now classified as freelancers. The shift is sure to continue, and companies are realigning the way they work to accommodate a new breed of employee, one who is often not in the office at all. Best-practice employee relations must be inclusive of all employees and in that vein must evolve to account for the dynamics of the changing workforce. Birthday parties in the office, which only celebrate those who are physically present, can adapt too. Handling employee birthdays presents a fantastic opportunity for HR to figure out a more progressive strategy to observe birthdays for all members of staff, even ones that work remotely. With e-gift cards, e-cards and other trappings of the Internet age, HR policies suited to the mobile workforce may change the office birthday party or even make it extinct, but regardless of the form, it will still be important to adhere to employee relations best practice. So, are workplace birthday celebrations worth the risk? Hopefully, each company will have a slightly different answer that reflects their culture, values, diversity and the needs of their employees. In the context of employee relations, it is always worthwhile to celebrate members of the team and their important milestones. It’s just a question of how.